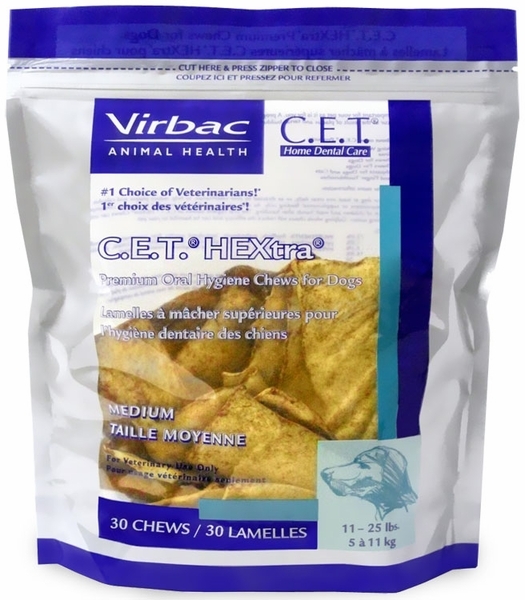 A few weeks back, we were asked to review Virbac C.E.T. Enzymatic dog chews from the online pet retailer, Entirely Pets. First a little about Entirely Pets directly from their online site. "EntirelyPets® is the online pet store leader for pet medications, pet food and all your pet supply needs! 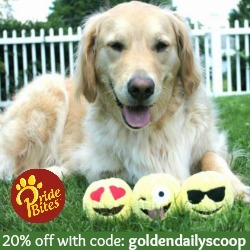 We specialize in bringing you the best pet medicines and pet products online today. We strongly believe the pet supplies we carry will provide your pet(s) with a long and healthy life. 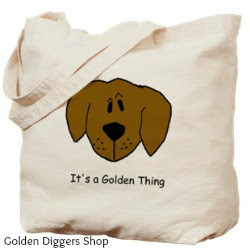 No matter what pet you have, we carry a HUGE selection from pet food to accessories. We lead the internet in the number of products with 15,000 and more being added every day. Also, we provide FAST shipping with a majority of our orders shipping the same or next day!" After visiting the website, we found they had a large extensive supply of every kind of dog and cat supplies that you could ever need at competitive prices. We will definitely be coming back to shop around! We received a box in the mail from Entirely Pets with 2 bags of C.E.T. 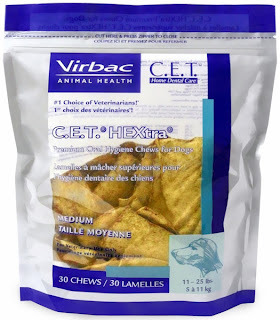 Enzymatic Oral Hygiene dog chews, each containing 30 chews. "C.E.T. 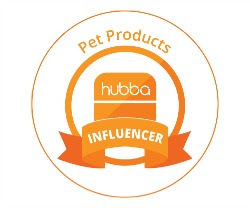 product line is the #1 recommended dental brand by veterinary professionals. C.E.T. Enzymatic Oral Hygiene Chews for Dogs, featuring the exclusive Dual-Enzyme System, are made from select beefhide to combine a natural antiseptic plus an abrasive texture that works with the dog's chewing action to loosen tartar and provide clinically proven plaque control. Helps clean teeth and freshen breath even when brushing isn’t possible." Ingredients: Beefhide, dextrose, poultry digest, hydrolysed vegetable protein, primary dried yeast, potasium sorbate, glucose oxidase, dried whey protein concetrate. Maggie is an excessive chewer and her breath could always use some freshening up so she was our taste taster today! As you can see she thoroughly enjoyed them! We love these chews because they do a double whammy! They are great for those dogs who love to chew and tend to get bored and they also help keep their mouth clean. 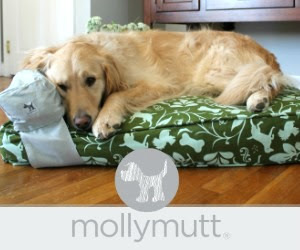 So if your dog tends to be bored AND have bad breath (gasp!) then I would highly recommend giving these chews a try! 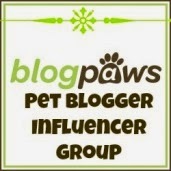 Disclaimer: This post was written on behalf of BlogPaws Pet Blogger Network and EntirelyPets.com We received a product for a review as well as compensation for our time. 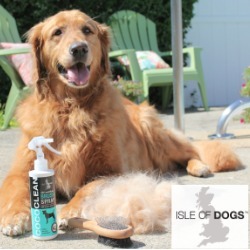 Like all reviews on this blog, our thoughts and comments about the product are our own. Great review guys! Shiner loves CET chews too.